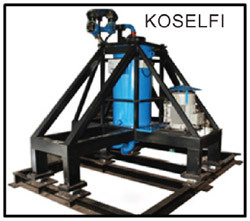 If clean cooling water is your need.. then you must know about KOSELFI. Konark Filters Pvt. Ltd. introduces KOSELFI, most innovative, side stream, selfcleaning, stand-alone system ever conceived. Importance of clean water needs no emphasis. Cooling tower water, in large industries, plays very important role. Scale, fouling, biomass, and corrosion are the enemies of cooling tower water. Giving clean water, 24x7, is our mission. We are proud to announce the launch of sustainable filtration system, which meets and surpasses present practices. Reduces energy and chemical consumption by 10% and more. Chemical industries, Automobile industries, Wire drawing, pipe & tubes, Hospitals, Hotels, IT, Power plants, steel, etc.. are some of the benefited sectors.